“When Persephone Goes Away,” by Desiree Cooper, appeared in the Fall 2018 – Caregiving Issue of MQR. There is an iconic scene in the Disney animated movie where Snow White flops down upon the forest floor, sobbing, while the woodland critters peer from their roosts and burrows and hutches. When she lifts her head, they scatter, terrified. She had come to that lonely place to bask in her sorrow, but as soon as she realizes that she has startled them, she forgets her own woes and focuses only on the trembling animals. To comfort them, she sings “With a Smile and a Song,” and soon the little birdies and squirrels join her in squeaky harmony. That’s just like my mother. Born in rural Virginia during the Depression, she was no stranger to deep woods and forest fauna. As she grew up, she learned there was no sadness that couldn’t be remedied by flowers and birds and chipmunks and sun. I imagine her as a little girl, tromping through the lodgepole pines. She was no fairy princess, and her biscuit skin was browner than that of Snow White’s, but her soul was no less buoyed by the natural world. Dogs were Mom’s favorite pet, but it didn’t end there. She once had a fish who would dance against the glass bowl every time she walked into the room. She trained a squirrel to feed from her hand every day. After Christmas, she dragged the shedding tree out of the house and propped it against the backyard fence. She re-decorated it with pine cones stuffed with peanut butter and rolled in bird seed. That way, the tree served a new purpose long after it brittled: the birds didn’t have to go hungry in the dead of winter. It wasn’t just about animals. Mom talked to plants as if they were her friends. The backyard was an explosion of amethyst hydrangeas, neon pink roses, citrus daylilies, and salmon azaleas. Every summer, she lined the deck with flower boxes and terra cotta planters filled with velvety red geraniums. Even though she refused to cut her flowers (for her, that was an act of violence), she wasn’t content to let the outdoors stay outdoors. The house was jammed with a mixture of potted plants and fake arrangements. Every plant she received was spared the garbage. Once someone gave her a cactus as a present, and a decade later, it was still alive and stretching from floor to ceiling, snug in its original pot. Before a row of windows in the Florida room hung a half-dozen silk ferns. Into each, my mother had inexplicably stuck a plastic poinsettia, giving the room the happy feeling of the tropics and Christmas all year. Her mother-in-law also had a green thumb. When I was a teenager, I thought it was hilarious when senile Grandma Annie watered her fake flowers. But when I moved in with my aging parents and noticed my mother doing the same thing, it broke my heart. These days, at eighty-four, both parents have succumbed to memory issues, my mother following two of her three living siblings into the wilderness of Alzheimer’s. Once I moved in, I had to cull the house of the wild explosion of flowers to keep her from watering the furniture. Outside, I let things go to seed, winnowed the plots or mowed them over. I am no Snow White — there’s a limit to the souls I can tend with a smile and a song. 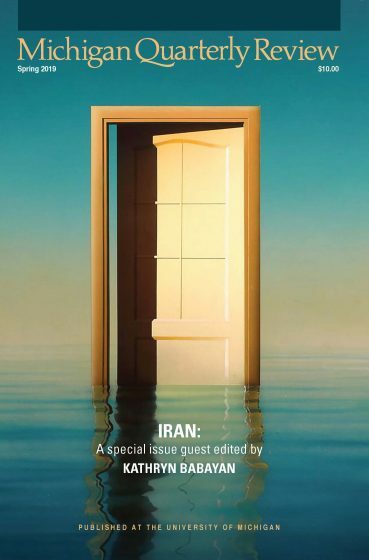 To continue reading, purchase MQR 57:4 or consider a one-year subscription. 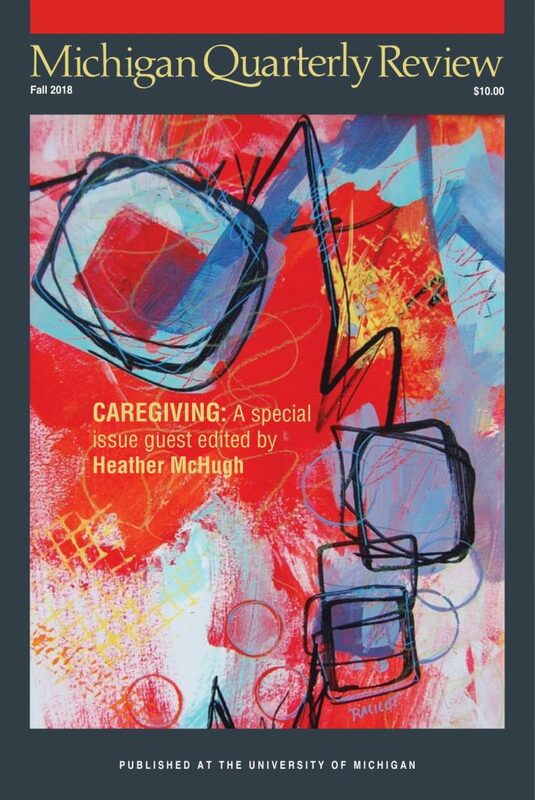 This essay appeared in the Fall 2018 – Caregiving Issue of MQR. Image: Klimt, Gustav. Detail of “Farm Garden with Sunflowers.” 1907. Oil on canvas. Österreichische Galerie Belvedere, Vienna, Austria. Desiree Cooper is a 2015 Kresge Artist Fellow, former attorney, and Pulitzer Prize-nominated journalist. Her debut collection of flash fiction, Know the Mother, is a 2017 Michigan Notable Book and a 2017 Next Generation Indie Book Award winner. Cooper’s fiction, poetry, and essays have appeared in The Best Small Fictions 2018, Callaloo, Hypertext Review, and Best African American Fiction 2010, among other online and print publications. Cooper was a founding board member of Cave Canem, a national residency for emerging black poets.